Dark stained wood bar tops include natural cork stoppers for a unique way to seal glass liquor bottles in various styles. The wood bar tops have smooth wood grains and a deep rich stain for a classic look. 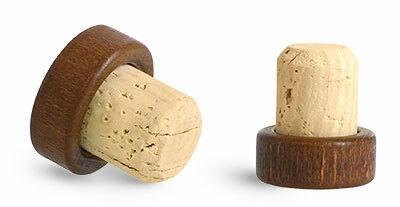 View the Add-ons drop down menu to select through the options of glass bottles compatible with each size of these bar tops with natural corks.